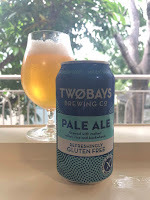 It's Beer O'Clock: TWØBAYS BREWING CO. 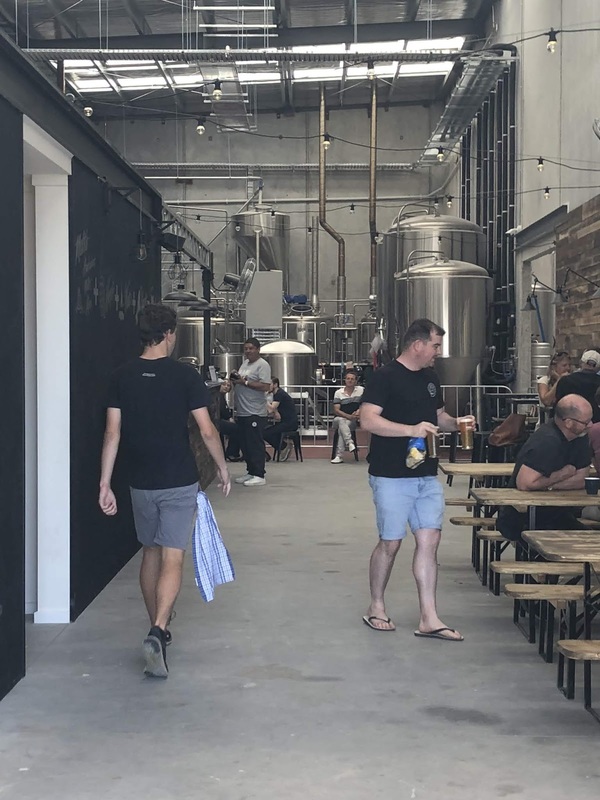 It's been a long time coming, but TwøBays Brewing Co became the latest brewery to join the ranks of Victorian craft brewers when they finally opened the doors in mid-December. They're a brewery with a difference; solely utilizing gluten free grains, such as millet, buckwheat & rice, to produce certified gluten free beers. It's been a labour of love for owner Richard Jeffares, brother of Steve Jeffares of The Local Taphouse, GABS & Stomping Ground fame. You see Richard was a craft beer fanatic until he was diagnosed with Coeliac Disease in 2015. He thought his days of variety were behind him, before a trip to the United States opened his eyes to the possibility of good gluten free beer. Fast forward to today and he owns his own brewery on the Mornington Peninsula producing gluten free beers. Not only are they producing gluten free beers; TwøBays have partnered with Eckert Malting, out of California, & Grouse Malt House, out of Colorado, to bring their specialty gluten free malts to Australia & New Zealand. They're available for home brewers to buy on their website. 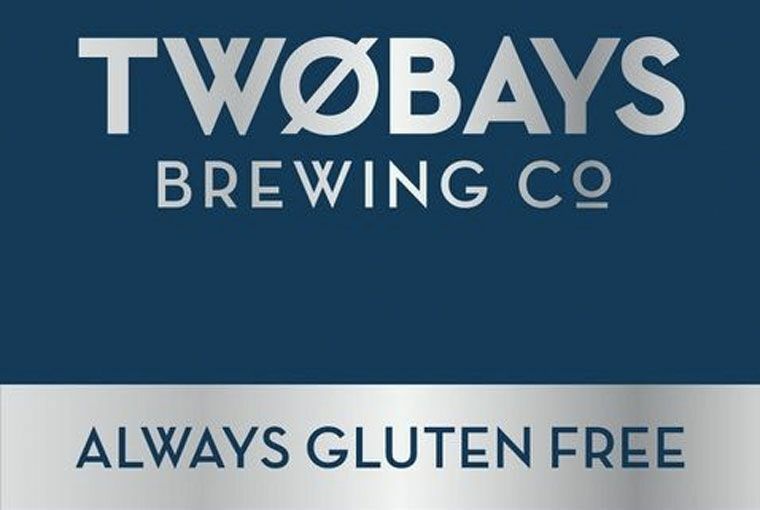 I wonder if this will see a spike in the amount of Coeliac & gluten intolerant people home brewing - it certainly feels like there is more gluten free beer appearing on the commercial scene at the moment. I trekked out to the brewery in early January. It's in a weird industrial development behind Dromana, that doesn't seem to quite mesh with the seaside/holiday town vibe. The brewery is well signposted from the street, with their company stickered van parked at the entrance. 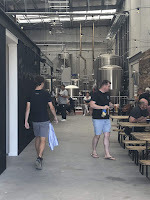 The brewery is laid out much like any brewery in an industrial estate; stainless at the back, plenty of seats (both inside & out) & a bar roughly in the middle. I really enjoyed the vibe at the brewery whilst I sampled my tasting paddle. They have the capacity for 10 beers on tap, of which 7 were available on the day I visited. There was good variety across those taps with a Saison, a Gose, an ESB & a hoppy Brown Ale joining the usual assortment of Pale Ales and IPA's. Currently they only have one packaged beer; the Pale Ale, although this will change after they've been open a little longer. It is that flagship Pale Ale that I'm reviewing as part of this segment. It pours quite a light golden colour with a fluffy white head, that is quite short lived. The body is a little thin, but there are some interesting flavours from their unique malts, the highlight of which is a light spiciness. The malt bill is quite different from other Pale Ale's, I guess given the constraints they have in ingredients. What the malt bill does do is lay a platform for the hops to shine. I'm not sure what they've used, but it's providing plenty citrus on the nose & lots of fruit on the palate. It's not a Pale Ale I'd drink regularly, but it is a damn sight better than most gluten free offerings I've had previous.